The Poison Spyder Gear Bag is perfect for storing those essential items every 4X4 should carry on board. 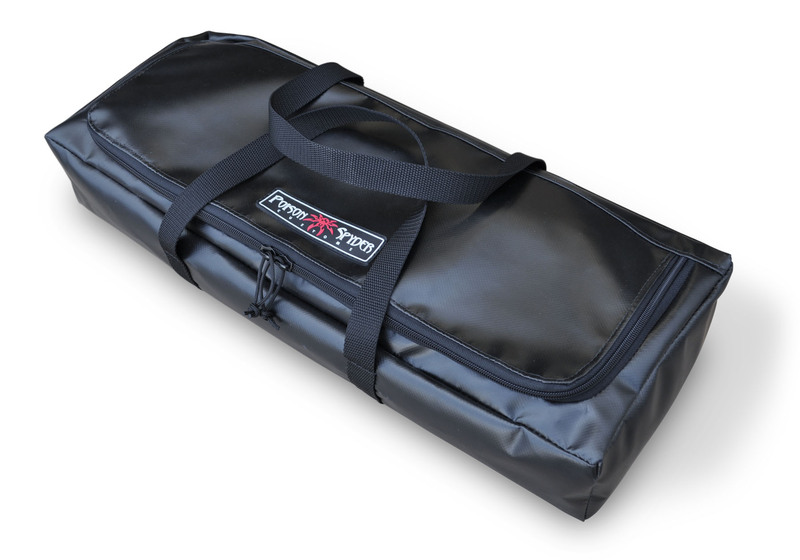 Made of heavy duty materials, this Gear Bag is a great place to put tool rolls, recovery gear, emergency and survival supplies. The bag features an extra wide, pleated opening for stowing large items, a heavy duty zipper with dual zipper pulls, and heavy duty nylon strap handles that circle the bag for extra support when hand carrying the bag. Black with a rubberized Poison Spyder logo stitched to the flap. The 22 inch X 8.5 inch X 5 inch Gear Bag was designed specifically to fit into the trunk area beneath the floor at the back of the Jeep JK, but it will work great in any 4X4.